Although the company has made its name in weight-training, the Bowflex 3-Series treadmill is one of the most popular machines that the Bowflex company currently sells. Coming in at around $1,000, it’s an entry-level machine on all fronts. The Bowflex 3-Series Treadmill has one feature in common with all Bowflex offerings – it looks really great. This is a classy, streamlined looking machine that some people will like having just because it looks so good. Warranty: Frame 15 years; motor 10 years; parts & electronics 2 years; labor 1 year. UPDATE: The Bowflex 3-Series is no longer available. Check out the latest Bowflex treadmill reviews here. The Bowflex 3-Series is a treadmill for walkers, pure and simple. Fitness pros note that the 1.75 HP motor and maximum speed of 10 mph aren’t powerful or quick enough for much more than a quick walk. They do like the solid feel of it however, and recommend it to consumers looking for an entry level treadmill for weight loss. 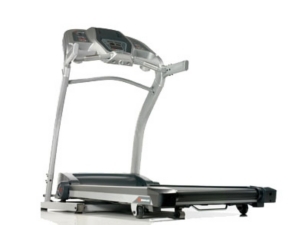 The Bowflex 3-Series treadmill sturdy and reliable, but it’s not an athlete’s machine. 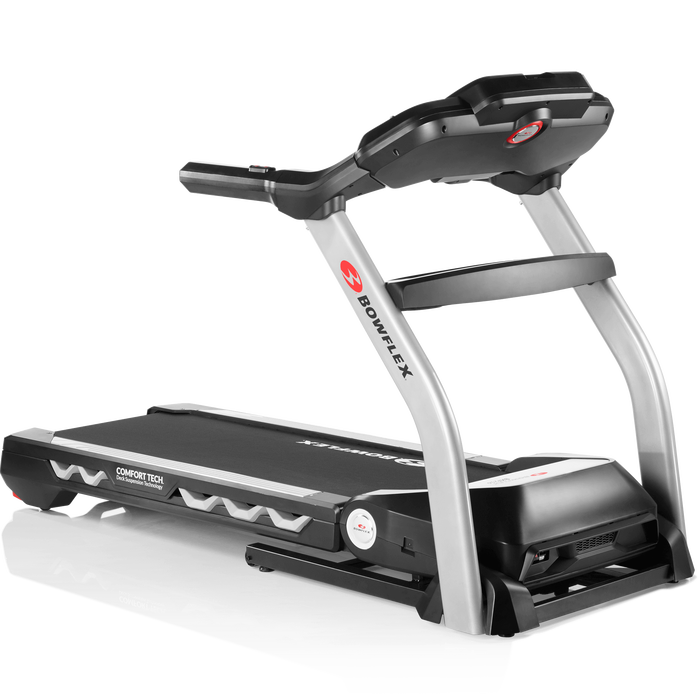 Consumers enjoy having a folding treadmill that they can easily unfold, and the Bowflex 3-Series fits the bill with its SoftDrop feature that gently lowers the tread belt. A common complaint is that owners are disappointed with the treadmill’s noise level – lots of rattling, but not necessarily break-downs. This can be attributed to the plastic parts. We feel you can get a better treadmill for the price than the Bowflex 3-Series model, but if you are looking for a decent folding model with a feature like SoftDrop, this isn’t a bad option. We don’t feel it’s an athlete’s treadmill, though. The Bowflex 3-Series is for people who just want to walk regularly and won’t be pushing the 1.75 HP motor too much. The treadmill’s plastic parts are an unfortunate choice by Bowflex. While it may have saved them some money, it makes the Bowflex 3-Series sound cheap (which is misleading, because this is a solidly grounded piece of equipment) and after a while the noise is irritating. 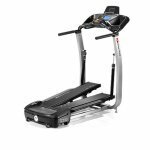 We suggest looking at others in this price range, but if you can find the Bowflex 3-Series treadmill on sale, consider it if you won’t be using it while people are watching television.